The world is in a state of extensive turmoil. War is plaguing society, laws are prohibiting divisive language, and people everywhere are joining a movement to create a homogeneous population of blue people. Well, as wild as it is, from November 15th to the 17th, the BCA Theatre Department is bringing a theatrical experience like no other to the stage. A spin on Shakespeare’s classic, Love’s Labour’s Lost, the company will be presenting its own version of Love’s Labour’s Found, with a new spin including the compelling title, Don’t Trust The Boyz. 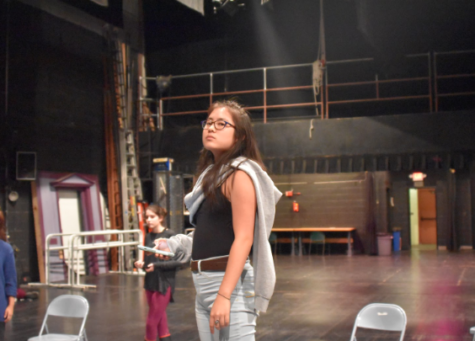 Devised theatre is a form of theatre where the actors, directors, designers, and stage managers work collaboratively in casting, writing, rehearsing, and producing the show. As a piece of devised theatre, it is constantly growing, as it has the ability to take new routes in terms of its writing, composing, and staging. Centered around a record company in a time of horrible circumstances for the world, Don’t Trust The Boyz is told from the perspectives of many characters in the industry. A rapper named JacQui B is known for using incredibly thought-provoking language in her music, which is continually censored. On the opposite end of the spectrum of JacQui B’s music, there is a boy-band that is considerably bland but becomes the model for this homogeneous society. Of course, there is a misunderstanding of whether “Don’t Trust the Boyz” refers to the boys in the band or to the deceptive characters of the king’s assistants- saboteurs named Nathaniel and Holofernes. Yes, the plot is complex and confusing at first, but, in the play, all of these confusing tidbits come together to share powerful themes of world peace. There are plenty of other idiosyncrasies that make appearances throughout the play, but those you will have to see for yourself. 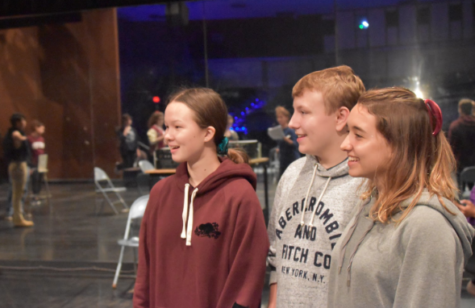 With a handful of assistant directors, stage managers, costume designers, a composer, and a wonderful team of actors/writers, the majority of the production is being put together by students. All of this is under the supervision of Ms. Pero, who offers excellent acting tips and direction, and organizes the rehearsals for their maximum potentials. The magic of theatre is bringing the show together and into something with important themes to our society. 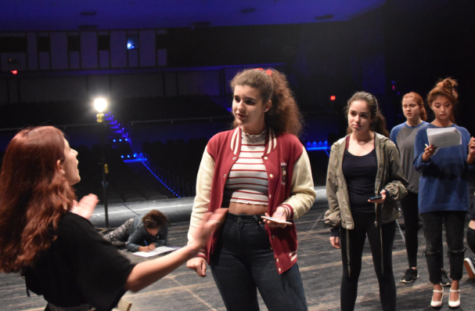 Isabella Castillo, an AVPA/T sophomore, says that “creativity is constantly flowing” to exhibit “certain issues that are prevalent today.” Regardless of who you ask, it seems that every member of the company is having an excellent time working on this piece. And you can see the characters come to life, too! Tickets are available on the BCA website and will be sold at lunch mods in a short time!